Sylvester Stallone‘s current writing/directing/acting project The Expendables is quickly shaping up to be one of the greatest action movies of all time. 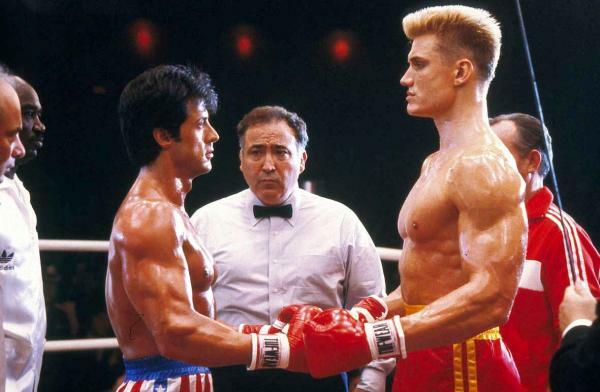 Indeed apart from Stallone, the film already stars Jason Statham (the Transporter movies) and Jet Li (The Mummy: Tomb Of The Dragon Emperor), and now Dolph Lundgren has joined the cast, reuniting with Stallone 23 years after their epic boxing match in Rocky IV. The casting was announced by Stallone at the premiere of Transporter 3 in Las Vegas. Lundgren was actually Stallone’s second choice, but Jean-Claude Van Damme (who co-starred with Lundgren in Universal Soldier) turned down the offer, saying he wanted to take his career in another direction. Arnold Schwarzenegger (the Terminator films) has also been offered a part as has Forest Whitaker (Street Kings). Set in South America, the film will follow a group of mercenaries that take dangerous jobs that no one else will as they attempt to overthrow a dictator and the opening scene reportedly features Statham’s character eliminating a Mexican drug lord while dressed as a homosexual. The Expendables should start filming early next year in Louisiana and Costa Rica for a 2010 release. This will of course not be Stallone’s first stab at directing. The man has indeed plenty of experience behind the camera, having written or co-written most of his films and directed quite a few of them (including the last Rambo film and four of the Rocky movies). Stallone has talent there is no doubt, and a lot of people seem to forget that his screenplay for the first Rocky was Oscar-nominated. This entry was posted in American Films, Celebrities and tagged Arnold Schwarzenegger, Costa Rica, Dolph Lundgren, Forest Whitaker, Jason Statham, Jean-Claude Van Damme, Jet Li, Louisiana, Rambo, Rocky, Sylvester Stallone, The Expendables, Universal Soldier by Mr Hollywood. Bookmark the permalink.